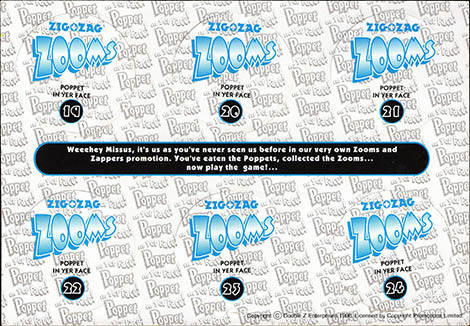 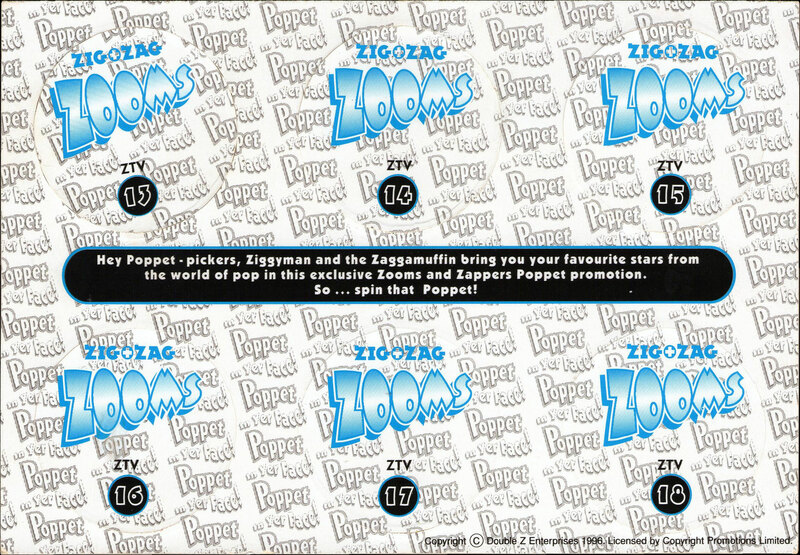 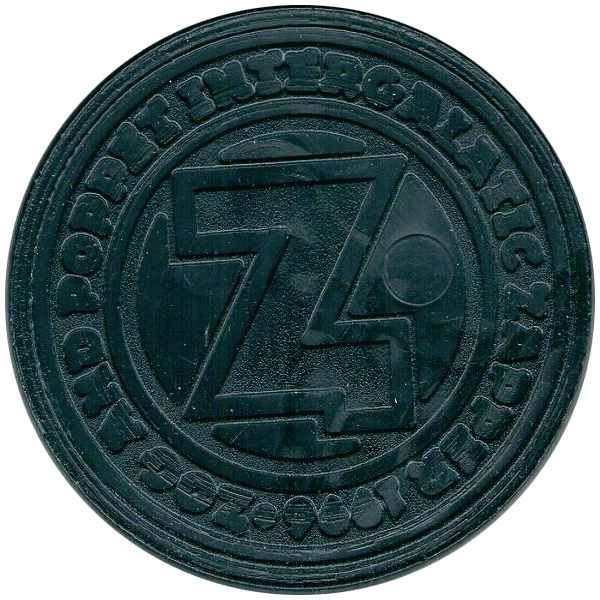 Info:Zig + Zag Zooms were given away with packs of Toffets and Poppets produced by Paynes in the UK. 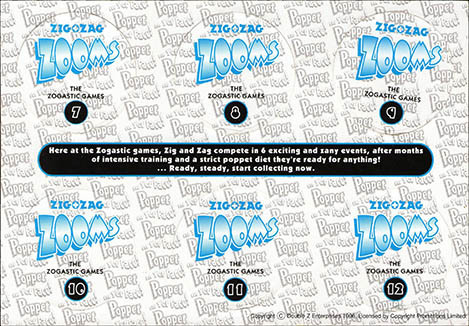 Large packs included a card with 6 cut but unpunched caps, and there were 4 of these cards (making 24 caps) to collect. 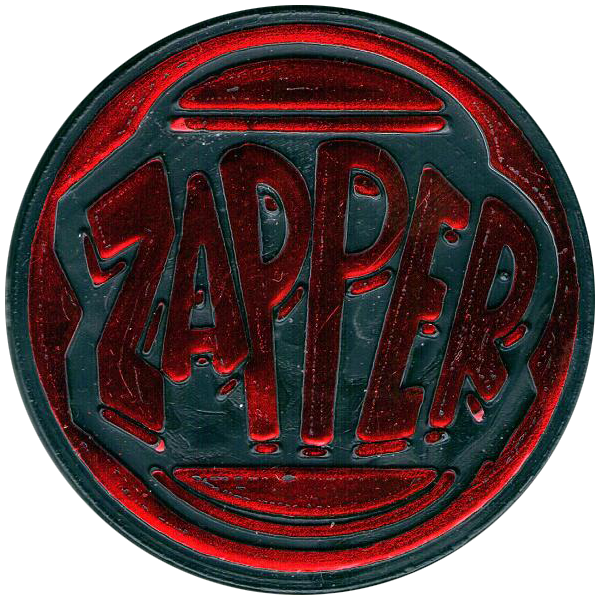 One Zapper (slammer) was also included in each pack. 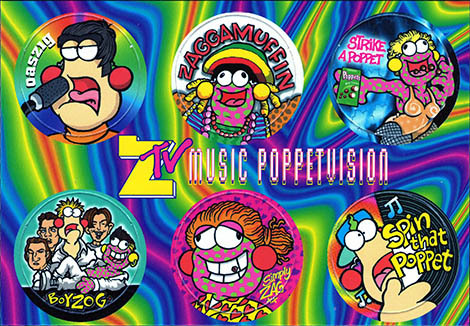 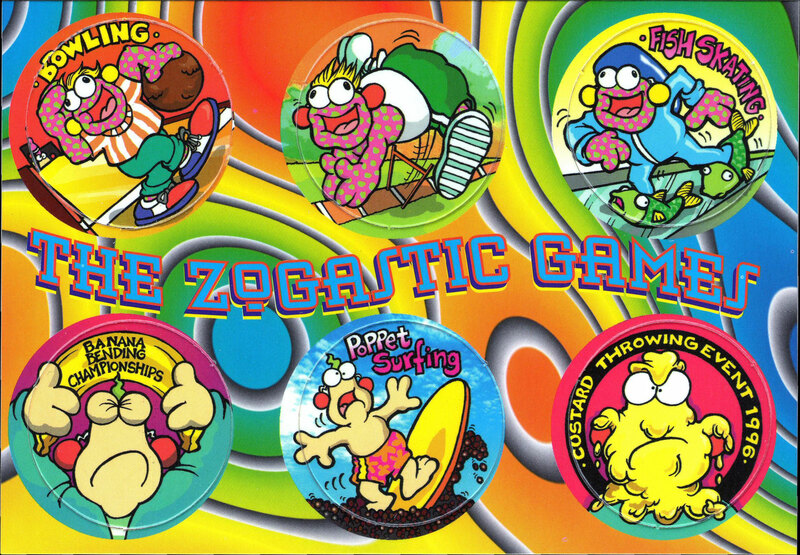 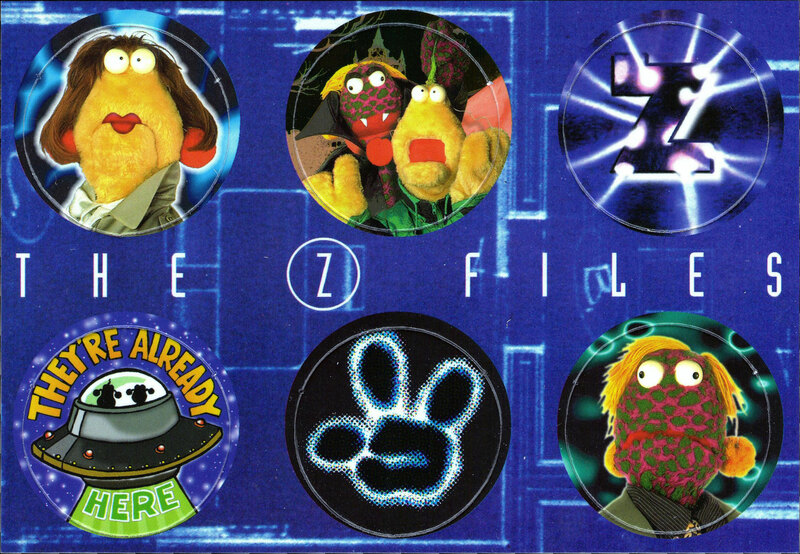 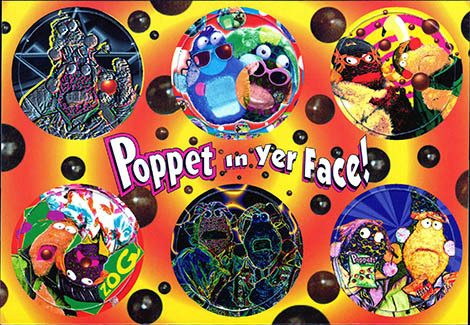 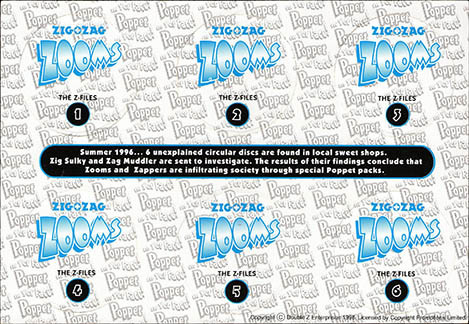 The pogs feature Zig and Zag, a pair of puppets who featured on 'The Big Breakfast' television program on Channel 4. 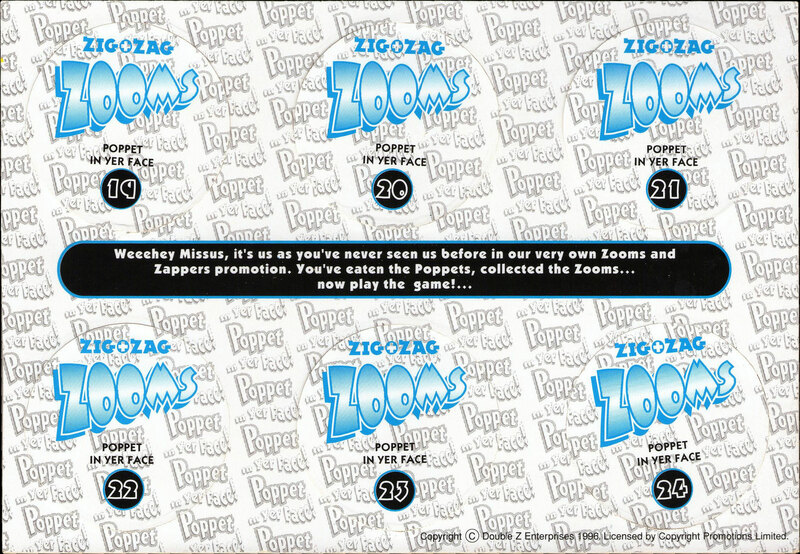 Thanks to Vincent for the images of the full set of Zig + Zag Zooms below.